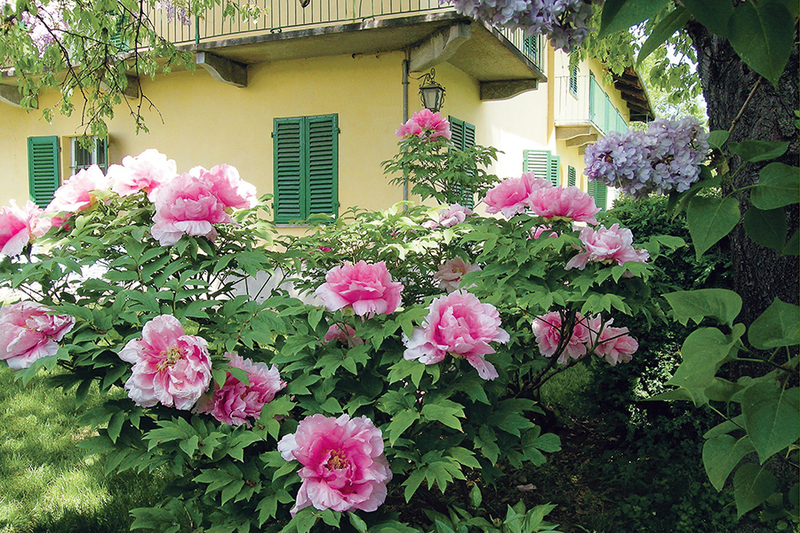 It is difficult to give precise indications about the use of peonies in gardens: the plants are extremely adaptable, and each gardener can grow and place them according to their own taste and aesthetic inclinations thanks to the beauty of their flowers, their scent and the elegance of their appearance. 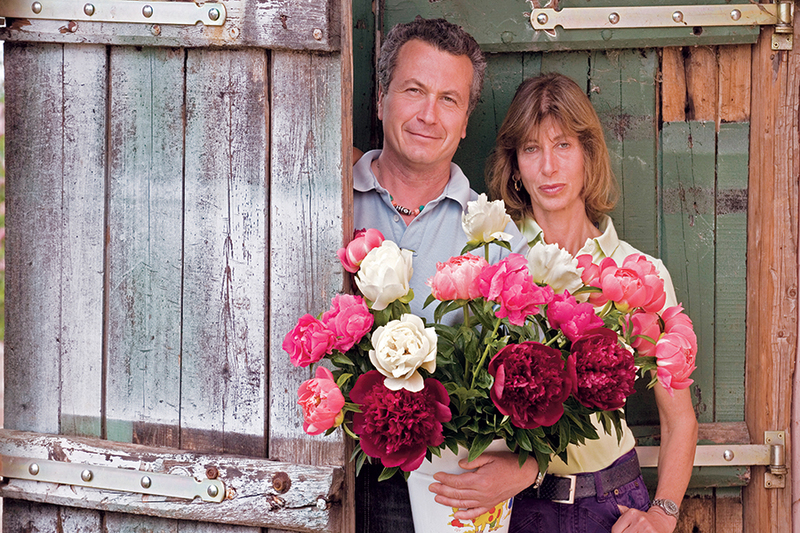 Peonies bloom once a year, briefly and intensely, and thus mark the flow of the seasons. 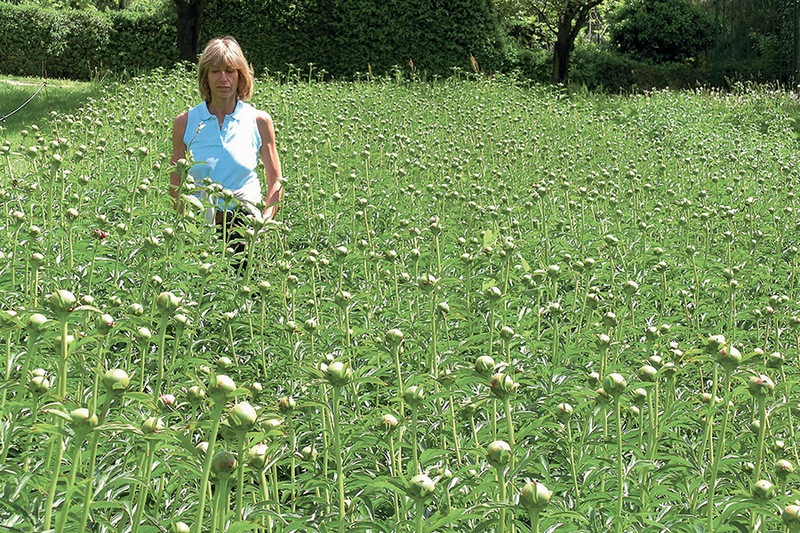 Peony enthusiasts anxiously wait for the brief period of bloom the whole year long, and often, as time passes and passion grows, the wait for the bloom becomes almost as pleasant as the event itself. Peonies are also very long-lived, but rather slow growing (especially the tree ones), and thus not very suitable for “ready-made effect”. Both herbaceous and tree peonies like the sun, but some shade during the hottest hours of the day can help extend the blooming period; in general we can state that tree peonies are more suitable for half-sunny exposures, while herbaceous ones prefer full sun. Tree peonies are very elegant ornamental plants also when not in bloom: often leaves and young branches have red or blue-green shades making them particularly suitable to be combined with plants with blue leaves, such as lavender or lavender cotton. 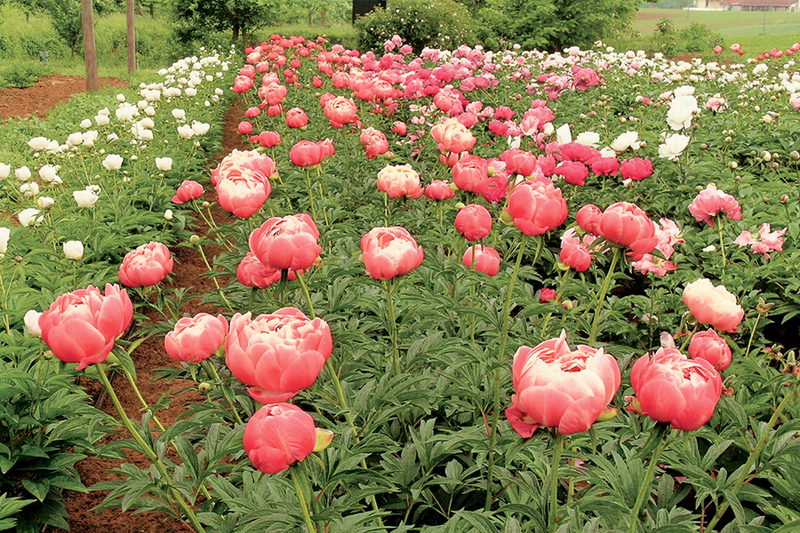 Tree peonies are recommended to form the foreground in front of trees or tall shrubs, or as background, isolated or in groups, together with compact and low shrubs. Thanks to their light and aerial appearance they can also alleviate the rigor of a garden that is too formal. In any case it is necessary, when placing them, to take care to leave ample space for their development. 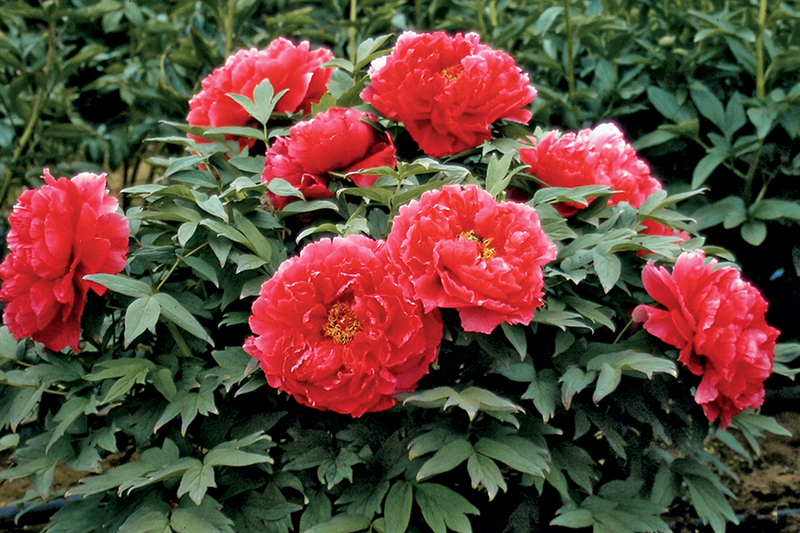 Herbaceous peonies form lower and more compact bushes, and even if they keep their leaves until late in the fall, are less interesting once the bloom is over. Normally they are recommended for a mixed border, combined with plants blooming later or earlier, or to make large spots or background monochromatic borders. They can also be used successfully to mask the foot of creepers which tend to shed their lower parts, as long as they are planted at a certain distance from them. In many gardens herbaceous peonies are successfully combined with ancient roses, or with irises, with which they partly share the period of bloom. 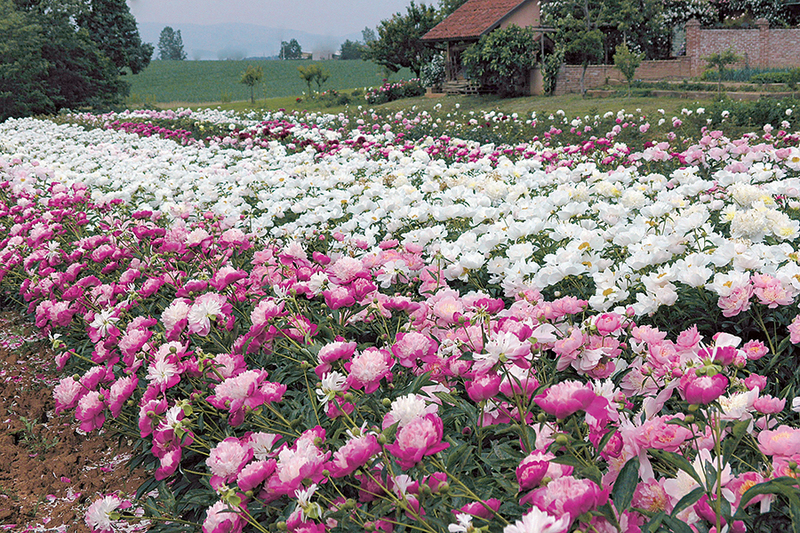 Traditionally herbaceous peonies were cultivated in vegetable gardens, which because of their exposure and fertility are optimal for the development of peonies and allow flowers to be collected without fear of spoiling the garden. In rocky gardens small botanic herbaceous species can be successfully placed, such as P. anomala, P. tenuifolia with their beautiful finely divided leaves, P. mollis which does not like too much sun during the summer, or even P. officinalis which we can find in self-vegetation in the mountains of many Mediterranean countries.